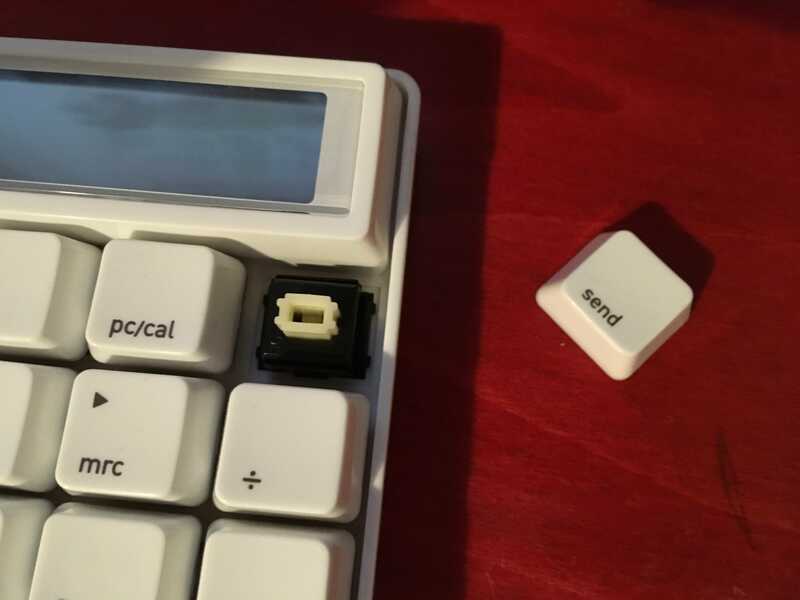 Blaise170 wrote: ↑ For what it's worth, Matias just made an update in the 60% thread on Geekhack that PBT keycap creation is finally finishing up. I'll believe it when I see it, but I actually believe that he is close. 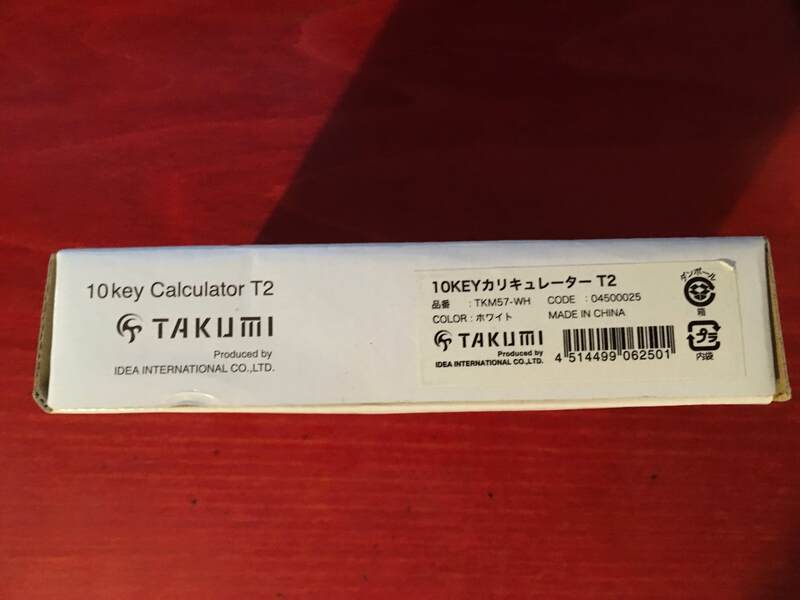 Geez, really hoping he'll sell the PBT key-sets separately. That alone could earn a tidy profit for him. I wish Tai-Hao would fire up more of their old Alps molds, only 3 sets with limited options aren't very satisfactory. 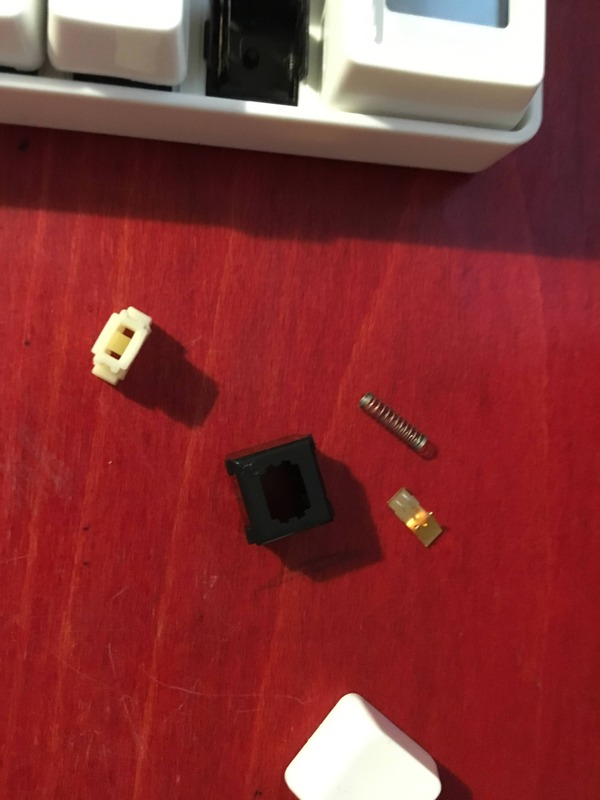 abrahamstechnology wrote: ↑ I wish Tai-Hao would fire up more of their old Alps molds, only 3 sets with limited options aren't very satisfactory. Agreed BUT it comes down to what ships out quickly and clears existing stocks fast. 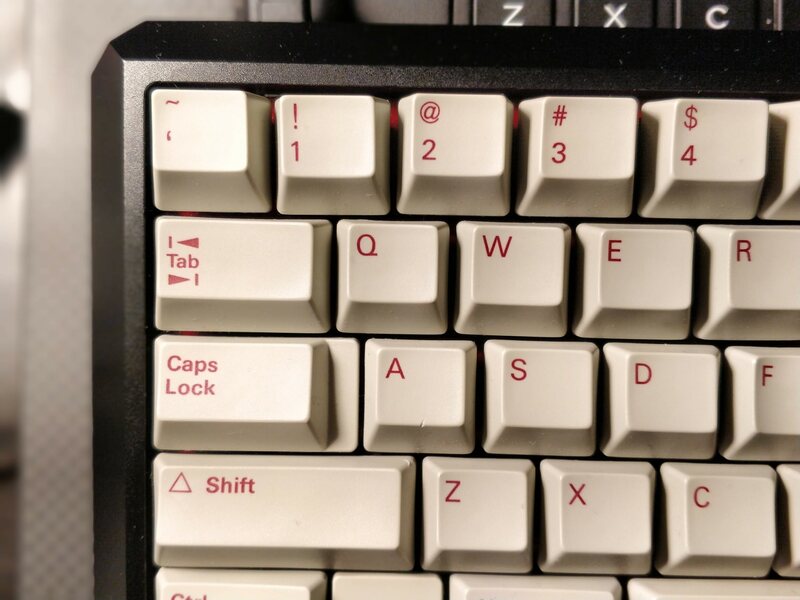 Suspect the Cherry molded keys all rush out of their warehouse far quicker than any of the Alps caps (my guess here). So for Tai Hao they must produce stuff that sells, horrid aspect of doing business these days. Hasn't selling stuff (goods and/or services) always been the definition of doing business? Yeah and he said that they should fit most layouts and will be sold separately. Hopefully we will see more than just white on black keys, assuming that we even see those anyways. Stumbled upon this Northgate ad from 1991. The number one feature in their bullet points: Alps switches! madrobby wrote: ↑ Stumbled upon this Northgate ad from 1991. The number one feature in their bullet points: Alps switches! Man, omnikeys really are one of the best alps boards out there. The very best of American Manufacturing, when it was ON like Donkey Kong - besides running the WAR Machine 24/7. Yes, indeed! The Omnikey 101 with ANSI layout is my favorite Alps-switch keyboard to refurbish and convert to USB. The case is roomy enough for a Teensy and internal cabling, and the PS/2 connector can be replaced with a micro-USB connector that aligns perfectly with the pre-drilled holes. Moreover, these boards have robust construction that easily withstands disassembly and reassembly without having the screw mounts fall apart. In contrast, although I like many things about Zenith boards, I have to be careful refurbishing them because the cases are often very brittle and the screw mounts can crack during reassembly. Love this Zeos branded NTC KB-6251. It’s crazy how you can instantly tell that an old keyboard has Alps switches in it. Feel great. That's what I thought. 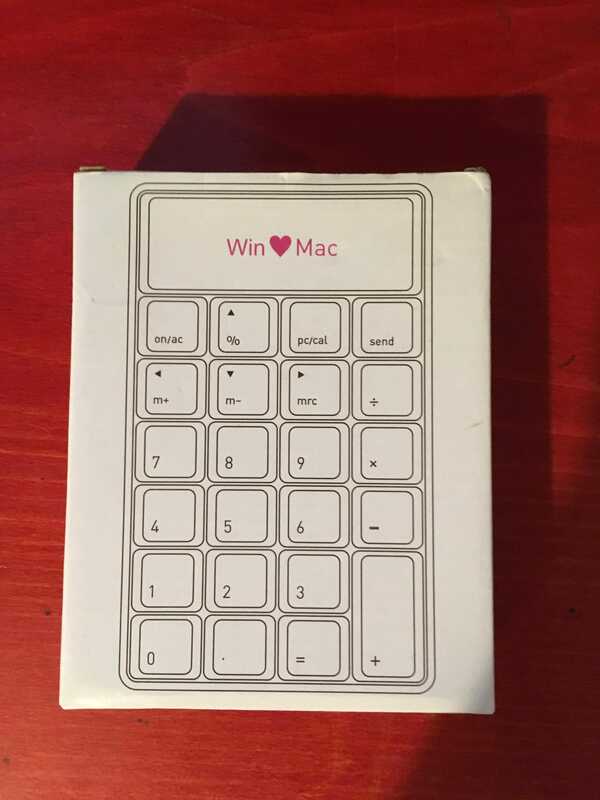 Do the keyboards these come with have genuine ALPS switches? We ought to do a Tai-Hao Cubic Alps group buy. I think Tai-Hao's MOQ is 500 sets. AlpsComeback wrote: ↑ That's what I thought. 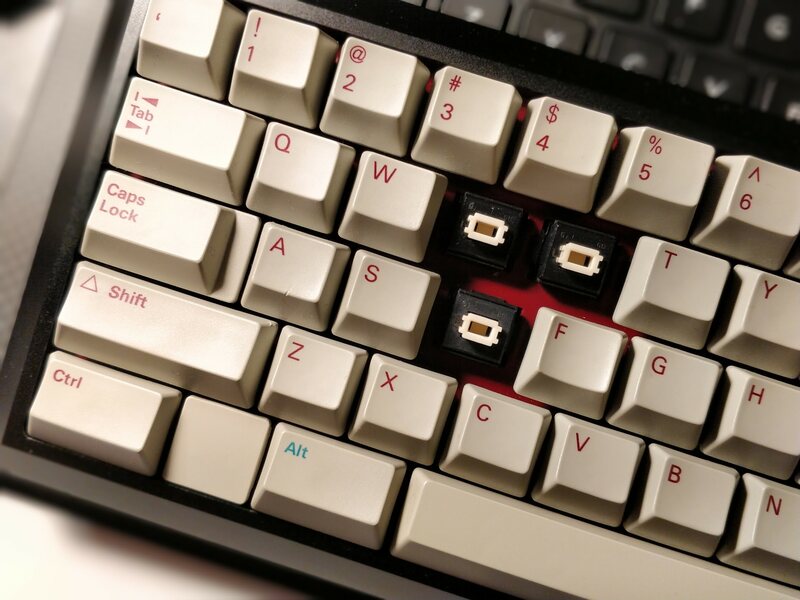 Do the keyboards these come with have genuine ALPS switches? Those colours are badass and the Shift arrow is from the future. madrobby wrote: Stumbled upon this Northgate ad from 1991. The number one feature in their bullet points: Alps switches! Just got a special package from Pizza_is_lie who helped me with the shipping, thanks! 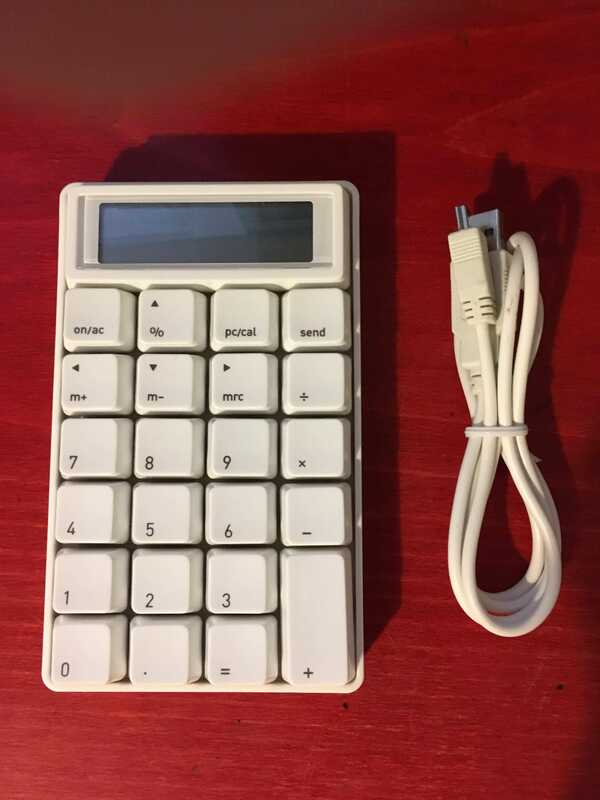 It's an alps clone calculator that can be hooked up to your computer also, I've been searching for this one for a while as it has been discontinued. It seems like its using Xiang Min KSB-C switches with an good tactility. It comes prelubed but the clicky leaf adds a lot of scratchiness and some are from the housing itself. Muirium wrote: ↑ I don't post great finds very often. So listen up! Muirium wrote: ↑ How do you fancy some NeXT keyboards? Here's a bunch, in America. I just bought 6. Well, 1 for me and the others for a little group buy. The seller actually has ANSI, Spanish and German (and I think maybe French) boards available. I got in touch with him and had them merged into a single sale so I could bundle my shipping. Just plug it in and that's it. Comes with the matching socket for Non-ADB connector and TMK firmware, which is a beauty. I had limited space so I organised a little GB with a few of my fellow regulars. But we're all sorted now, so it's open season on these boards if you fancy. I bought out the inventory of Bell Atlantic long ago , they were NeXT's repair service so I have stacks and stacks wrapped up in newspaper in boxes stored in my dry storage area... I actually have around 1000 NeXT computers here kind of fun. My thanks to HzFaq for pointing me this guy's way. Hopefully he's good at wrapping! I'll nag my brother for some pics of our boards once they arrive. 3 years later and I got a new toy today . Need to figure out what I'm going to do with the thing now...trying to cut down, although this will be my first new board in years. I have a NeXT non-ADB in US ANSI layout. I like the form factor and overall appearance. The Hasu converter works well, and I was able to remap the board to a HHKB-ish layout. Minor quibbles: the case is a fingerprint magnet, and I prefer clicky Alps switches. 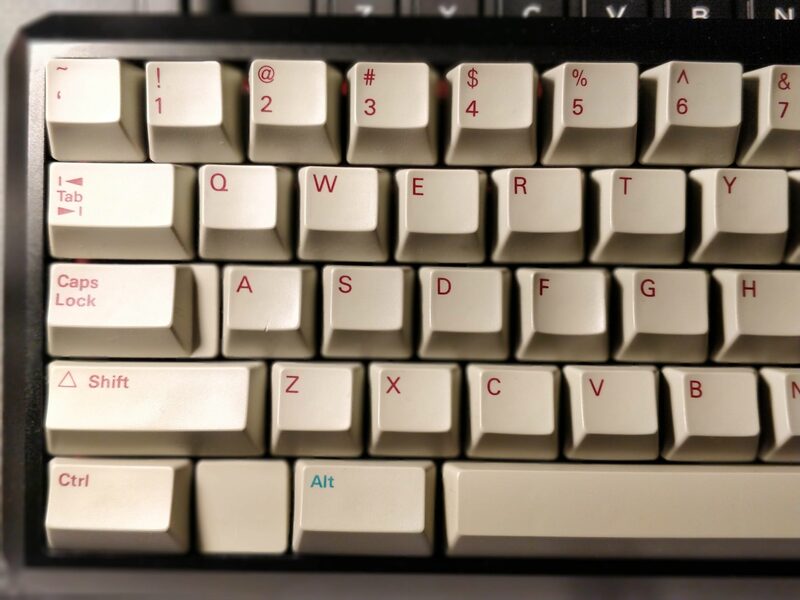 Hua-Jie is sending me some samples of their AK-CN2 Alps clones, they should be here by Monday. 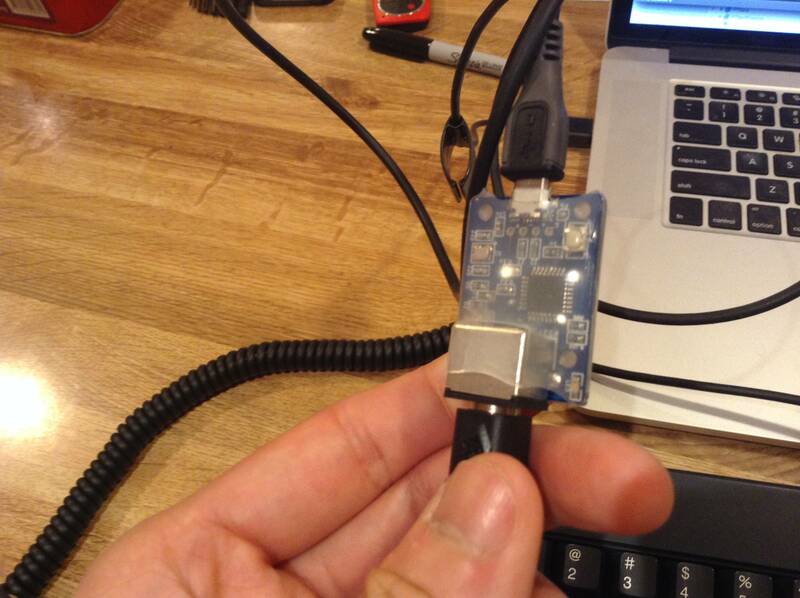 Hypersphere wrote: ↑ I have a NeXT non-ADB in US ANSI layout. I like the form factor and overall appearance. The Hasu converter works well, and I was able to remap the board to a HHKB-ish layout. 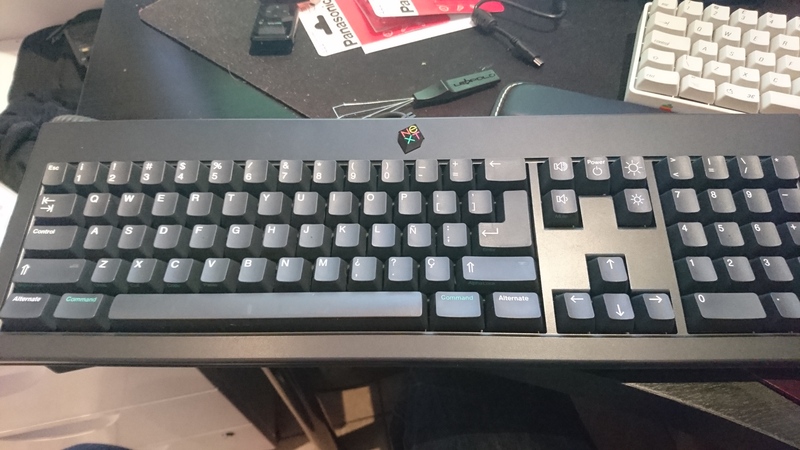 Minor quibbles: the case is a fingerprint magnet, and I prefer clicky Alps switches. Was saying to Mu earlier, if I do get it converted it will be with an off the shelf Hasu converter; I have nothing to prove by making one myself and the time saved is worth the money spent IMO. The switches are more or less new blacks, not sure which flavor black, but they feel much nicer than the ones I've tried previously. Layout isn't really an issue as, like you, I'd stick my own custom one on it, only slight issue could be only 2 mods either side of space bar so I'd be missing a windows key, but as it's unlikely I'd use it for any "real" work it isn't much of an issue. @HzFaq: I use the NeXT layout for the Win/Cmd and Alt/Option keys on each side of the spacebar, even though I rarely use Win/Cmd. I find that a single Ctrl is sufficient, and I always map this to the traditional Caps Lock position to the left of the "A" key. I got my AK-CN2 samples. I think in terms of sound and tactility, they blow Matiases out of the water. Matias needs to trash their rattly polycarbonate housings, since in the 6 years they've been out, not one company has built an RGB keyboard with them, plus you ought to have a desk lamp at your desk anyway. abrahamstechnology wrote: ↑ I got my AK-CN2 samples. I think in terms of sound and tactility, they blow Matiases out of the water. This "sounds" like a significant advance! Would you be able to put the switches into some sort of tester, perhaps along with some Matias and SKCM Alps so that you could post a comparative video with sound? Tell us more about these switches! Have they been modified since the ones that are described in the DT wiki (as found in the SIIG Minitouch, for example)? Many thanks. I think these are the same as the Minitouch's, although they cold have changed over the years, but I don't have a Minitouch to compare them.